MARCH 1ST UNTIL 3RD AVAILABLE AT DISCOUNTED RATE WITH LIKELY GREAT SNOW CONDITIONS! Planning a family reunion, group retreat or get together with friends? Get your choice of dates now before they’re booked! The perfect place for your ski season, Spring, Summer or Fall getaway. Enjoy the winter wonderland that is Beech Mountain during ski season or the unhurried pace and cool temperatures during our off season. The town of Beech Mountain is the highest city east of the Mississippi River. Ideal for business and church retreats as well as family reunions or even just time with friends. 4900+ square foot log home in moderately wooded setting located only .9 miles from Beech Mountain Club recreational facilities and 1.9 miles from Ski Beech entrance. Home's exterior is fieldstone and cedar shake. The Lodge's interior, which is almost exclusively wood, creates rustic atmosphere with modern conveniences. Wood beamed ceilings throughout. Many of the walls are 16'-24' thick hand-hewn logs. Interior materials are recycled from 143 year-old grist mill located in Chatam, Virginia; the 136 year-old Reedy Fork Mill formerly outside Winston-Salem, NC; and, a barn of unknown age and origin. Living room, dining room, and kitchen floors are hardwood (area rug covers almost all of living room); all halls and bedrooms are carpeted and bathrooms are ceramic tiled. Large living room with over-sized woodburning fireplace (firewood provided). Dining room is 10' x 35' and seats 30 at one sitting. Kitchen has flat-surface stovetop, separate flat-surfaced, 5-burner stove with self-cleaning oven, combination microwave/range hood and two GE refrigerators with icemaker. Wood deck is 18' x 18' with perimeter bench seating and over-sized commercial gas grill. Ten bedrooms contain ten full-size beds and ten queen-size beds, three adult-size bunk beds as well as a twin-size sofa bed. TV room has 42' flat panel TV with digital cable service, high-speed broadband internet access, VCR/DVD player and surround sound system as well as a queen-size sleeper sofa, which may be used as eleventh bedroom. Third floor hallway has foyer with large window seat, sofa, and 40' flat panel TV with digital cable service and PS3. Off-street parking for up to eleven or twelve vehicles. SORRY, BUT NO PETS PERMITTED. The Warthman Family-Kay, John, Jonathan, Josh and his wife, Natalie-own the Lodge. Kay is a long-ago retired nurse, who devoted her time to parenting and now focuses on church related activities. John is a retired real estate property management exec., who oversaw management of 17,000+ apartments, 3,800+ condominiums, 1 million+ square feet of office space and a number of home owner associations in a 30+ year career. Today, he is an instructor and speaker for a number of professional real estate organizations, which allows him to travel widely in both the U.S. and overseas doing professional credentialing courses. We bought this home when we lived in Charlotte and our oldest son was just born. We had visited the mountains during the summer and fell in love with Beech Mountain. A subsequent ski trip further cemented that feeling. John became aware of the Lodge itself while buying a pair of ski boots in Charlotte. During his preschool years and the summers of his first school years, he lived with his grandparents who lived in 5-bedroom converted stone barn. The Lodge reminded him of those wonderful childhood memories. Because he was in real estate management, he thought he could buy it, refurbish it, expand it and add a stone facade to the majority of the house. With the help of his brother Bob, who was a contractor, and some of his talented employees, he worked on the Lodge during weekends for 8 months to bring his vision to fruition. Initially, we thought that the Lodge would best be operated as a bed and breakfast, but quickly found that the most requests were to rent the entire house by larger groups. So, in our second year of ownership, we converted to whole house rental. In the mid-80's, we moved to Atlanta, where we still reside. So, for a long time now, we've been unable to enjoy the Lodge and its peaceful setting as much as we'd like. Over the 30+ years we've owned and operated the Lodge, we've been privileged to serve many families and groups. Many of them have returned again and again causing us to think of them as extended family. So, we derive pleasure from the enjoyment they experience as well as the relationships we've formed over the years. The setting of the Lodge combined with materials contained within it just give us the feeling of living in another, less hurried time. However, we still have access to the Beech Mountain Club with its gorgeous Olympic pool, first-class tennis facilities, pickleball courts, breathtaking golf course with views of 3 states and excellent dining. And, it's 1.9 miles from the Beech Mountain Resort ski slopes. We think it's the perfect combination of yesteryear atmosphere combined with many modern conveniences. Ceramic-tiled floors with 1x8 clear-finished pine walls. Individually controlled, electric baseboard heat throughout. Stone fireplace with glass insert for comfort located in living room. In-kitchen shelving for convenient storage and access. All dinner service and glasses included. Kitchen table seats four. 10' x 35' dining room contains seven tables, four benches and twenty-two stools, 10-bottle wine cooler, 18-bottle wine rack and Kawaii studio piano. PS3 in top floor foyer. No games provided, so bring your own. Beech Mountain Resort on Beech Mountain or Sugar Mountain located at base of Beech Mountain. Guest privileges for fee at Beech Mountain Club. All cooking Utensils/ Plates/Silverware/Glassware/barware provided. Beech Mountain Club Guest Privileges (Heated Olympic pool, 18-hole golf course with views of three states, tennis courts, activities, etc, (fees apply), Access to 22, 000 s, f, Beech Mountain Activity Center (fees apply), Town of Beech Mountain water and sewer. John was a great host and was very easy to work with. He walked me through the entire house upon arrival and was very helpful in giving tips for the local area (directing us to Fred's general store; a Beech destination). I will certainly be staying here next time I come to Beech! Thanks so much for both your patronage as well as kind words, Bishop. It was a pleasure working with you as well. Please reach out to us if we might be of future service to you. Thanks again, John W.
Perfect for our 7 families with kids. John is a great host. Well equipped kitchen. Thoroughly enjoyed ourselves! Great location. We had a great time staying at the Great Escape Lodge! The lodge is perfect for a large group like ours! There’s lots of room for everyone without being crowded. Everything was clean and organized at the cabin with lots of extras. There was even a piano and board games to entertain the kids. 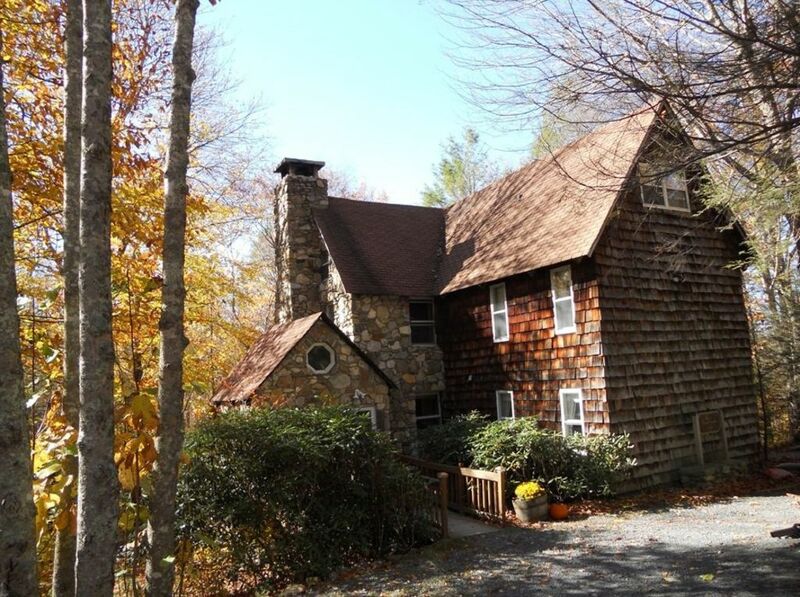 This is our favorite home to stay in at Beech Mountain and we can’t wait for next year! The owner, John, is great to work with! He called after we arrived to check that everything was okay at the cabin and make sure we didn’t need anything. We had a fantastic experience at the lodge and are looking forward to next time. Our group has stayed at the great escape lodge for the past 6 years and it never disappoints. It is a wonderful lodge to take a large group for a weekend retreat. Plenty of space and accommodations. The owner has been so hospitable and wants to make sure that your stay is the best that it can be. If you get a chance, try this place out. Great old, and very roomy log cabin is very well equipped. Location is great! Thanks for your kind words as well as (again) your patronage, Linda. It was a privilege and pleasure to be of service to you, Dan and your family. If we may do so again in the future, we look forward to the opportunity. In the meantime, best wishes for a happy, healthy and prosperous new year! John W.
4900+ square foot log home in moderately wooded setting located only .9 miles from Beech Mountain Club recreational facilities and 1.9 miles from Beech Mountain Resort entrance.